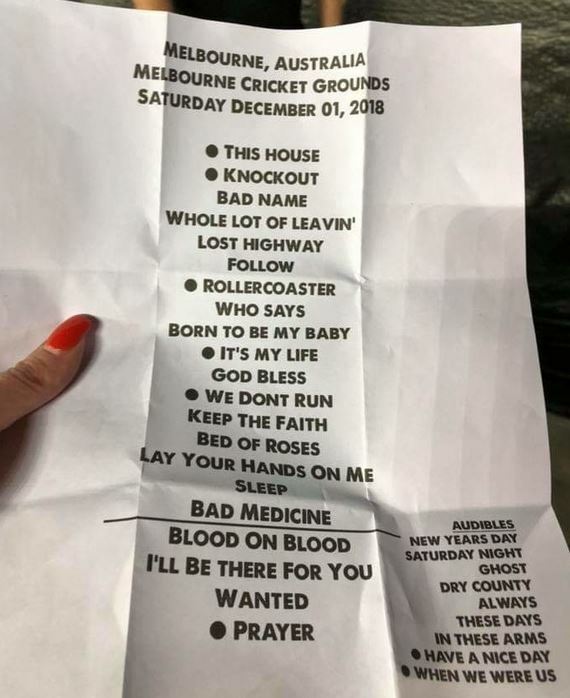 #65 - 2018/12/01 - Cricket Ground, Melbourne, Australia - bjtourss Webseite! Blood On Blood replaces In These Arms. I'll Be There For You replaces Someday I'll Be Saturday Night.